The U.S. sports nutrition market was valued at $28.4 billion in 2016 and is expected to reach $45.3 billion by 2022, reflective of a compound annual growth rate of about 8%, according to Zion Market Research. The company recently issued a report titled Sports Nutrition Market (Sports Food, Sports Drink & Sports Supplements): Global Industry Perspective, Comprehensive Analysis, and Forecast, 2016 – 2022. Sports nutrition is all about improving athletic performance. The target audience includes everyone from professional and academic athletes to workout aficionados and eight-hour day employees who want to take out their bureaucratic frustration on a punching bag. Sports nutrition products include foods, beverages and supplements specially formulated with macro and micronutrients that assist with overall health, performance and muscle development. Protein is the focus of many of these products, with whey proteins often the star attraction. The sports nutrition market has changed in recent years from being a niche sector of specialty products to being a mass-market lifestyle. While bars dominate the sector, followed by beverages, shoppers are seeking out other food formats to get the nutrients they need to perform at their best. Technavio researchers agree that there will be significant growth in the U.S. sports nutrition market due to an inclination toward healthy eating and a growing number of health clubs and fitness centers. This trend is more prevalent among the younger population. This presents a growth opportunity for dairy processors. It’s time to innovate for the sports nutrition aisle – and specialty stores and the cafes inside gyms -- and not just the dairy case. It was not that long ago that supplements – pills, powders, gels, etc. – were the go-to for many seeking out athletic improvement, health and wellness. This has changed dramatically over the past couple of years, as was apparent at the 38th annual Natural Products Expo West that took place March 8 to 11, 2018, in Anaheim, California. Noticeably on the expo floor, less space was dedicated to supplements than in years past. This is likely attributed to the fact that today’s consumers are increasingly seeking out natural, organic and functional foods for short- and long-term health and wellness. And, manufacturers are delivering. Dairy processors, this is a HUGE opportunity. Recognizing that protein is a crucial part of a high-performance diet, especially for athletes who are aiming for best-in-class status, and that National Collegiate Athletic Association rules ban many dietary supplements, companies are getting creative with their marketing of sports nutrition foods and beverages on university campuses. Here’s one that stands out. The University of Wisconsin-Madison Athletic Department is home to the new state-of-the-art Jack Links Protein Performance Center. This first-of-its-kind facility opened in January 2018 and is designed to meet the specific nutrition needs of student athletes. It is located inside Wisconsin’s Stephen M. Bennett Student-Athlete Performance Center. There will also be two Jack Link’s grab-and-go refueling stations at Camp Randall Stadium and the Kohl Center, allowing student-athletes to power up 24-7, whether they are on the way to class, recovering from a workout or just needing a pick-me-up between meals. Link HERE to view a video about the Center. Of course, Jack Link’s, a family-owned Wisconsin-based meat snack company makes sure its products are fully stocked in all locations. Dairy processors are wise to think the same way. The Center offers many Wisconsin-made dairy products, too. This includes Land O’Lakes cheese sticks, Odyssey Greek yogurt, Organic Valley Fuel and regular chocolate milk, Rapid Whey, and UW Babcock Hall high-protein ice cream, along with custom fresh-made smoothies. Organic Valley Organic Fuel is said to help you make the most of your workout. Available in chocolate and vanilla flavors, the high-protein milk shake is packed with an ideal ratio of protein and carbohydrates. An 11-ounce bottle provide 26 grams of whey and casein. The combination of fast-digesting whey proteins with slow-acting casein proteins is essential for athletic recovery. This is because the combination provides a constant flow of amino acids and the essential nutrients needed to replenish a body and maximize post workout recovery while building and repairing lean muscles. A select number of dairy processors are involved in the sports nutrition market, but there’s a great deal of room for innovation and growth. I challenge formulators to explore the inclusion of functional ingredients intended for this space. Potassium and magnesium, for example, are important for hydration. Lack of these minerals may lead to cramps or muscle spasms. The B-vitamins, which are water soluble and thus lost from the body during sweating, are critical for the conversion of proteins and carbohydrates into energy. They are also used for cell repair and production. Vitamin B-6, in particular, is useful in sports nutrition products. It has been shown to be uniquely important for cardiovascular, digestive, immune, muscular and nervous system function. Isomaltulose is a low-glycemic sweetener made from beet sugar and occurs naturally in honey. It is fully digestible; thus, it provides full carbohydrate energy in a balanced and sustained way, eliminating the undesired “boost and crash effect” generally associated with other sugars, making it ideal for sports nutrition products. Even natural caffeine makes sense as a source of energy. Studies show an average improvement in performance of about 12%, with more benefits noticed during endurance exercise than with shorter exercise. This non-calorie stimulant, however, may exert a diuretic effect. Too much is never a good idea. fairlife LLC, is onto the caffeine angle. Less than two months ago, the company brought back the coffee flavor to its Core Power protein shakes line, joining banana, chocolate, strawberry banana and strawberry. While its predecessor was a part of the “light” series with 20 grams of protein per serving, the new product delivers 26 grams per 11.5-ounce bottle. With 85 milligrams of caffeine in each bottle, the variety delivers an energized caffeine kick to help revitalize while refueling the body with casein and whey proteins. Core Power Coffee is the latest addition to the company’s ever-growing line of high-protein recovery shakes and with its relaunch in spring 2018, the entire Core Power collection will sport a refreshed look with sleek, modern packaging when it hits stores nationwide. Arizona-based Shamrock Farms is the dairy industry’s forerunner in sports nutrition. The company markets an array of 12-ounce bottles of Rockin’ Protein (formerly Rockin’ Refuel) to meet varied nutritional needs. Recovery provides 20 grams of protein in a 2:1 carbohydrate-to-protein ratio to help repair and replenish muscles. Builder is lactose free and contains 30 grams of protein and only 6 grams of sugar to help build muscle mass. There’s also a Builder Max (20 ounces) version with 50 grams of protein. Rockin’ Protein Lean products offer lower-calorie and lower-sugar versions of the muscle recovery and muscle-building products. Gatorade offers recovery protein shakes, too. The shelf-stable 11.16-ounce bottles come in chocolate cookies and cream, peanut butter and chocolate, and vanilla flavors. Each bottle contains 20 grams of casein and whey proteins and is supplemented with potassium. 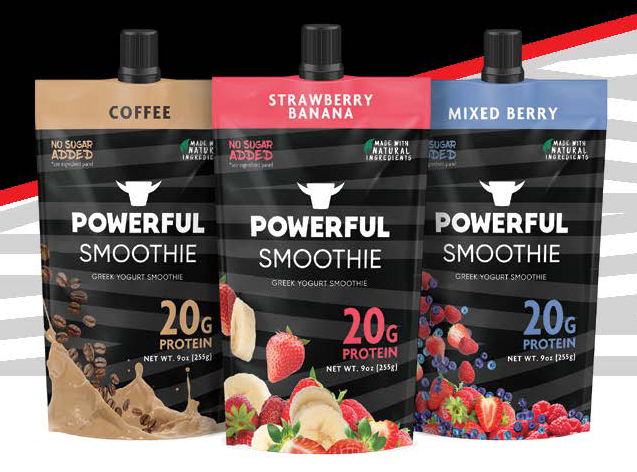 Powerful, a four-year-old brand credited with launching the brogurt category (manly yogurt), is growing its business with new Greek yogurt-based high-protein 20 grams) smoothie pouches. The refrigerated pouch product has a resealable cap and is designed to help fuel active lifestyles. The line includes MyQ Fitness Drink. Sold in four-packs of shot-style 100-milliliter drinks, each bottle contains 10 gram of protein. Initial flavors are strawberry and vanilla. There is also new MyQ Fitness Pudding in chocolate and vanilla flavors. The puddings are low-carb, low-fat and high in protein, with a 100-gram serving providing 10-grams of protein. Cheese, cheese and more cheese. That’s what many of us experienced this past week in Milwaukee at the International Cheese Technology Exposition. With that, we also experienced snow, snow and more snow. Does Mother Nature not know it is spring? It was great to visit with so many of you, especially at the cheese auction on Wednesday evening, where many of this year’s best-of-the-best cheeses, per the World Championship Cheese Contest held in early March, were sold for hundreds of dollars per pound. While we raved and craved about aged cheddars, smoked goudas and ash-ripened bries, there were winners in other categories that did not get the recognition they deserved. One of those is cottage cheese, a category that processors continue to contemporize with new flavors and forms. Accolades go to Best-in-Class Muuna Mango, which received a 99.05 score. 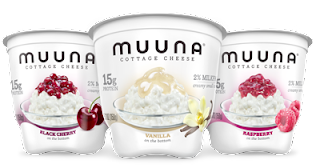 Muuna is one of the newer brands in the evolving cottage cheese category. The brand launched in 2016 in the Mid-Atlantic and Northeast regions, and is expanding its footprint in 2018. Currently it can found in more than 5,000 grocery stores throughout the U.S.
Muuna now comes in eight flavored varieties that contain 120 to 130 calories, 15 grams of protein and 9 grams of sugar per 5.3-ounce cup. The fruit-on-the-bottom line made its debut in Blueberry, Mango, Peach, Pineapple and Strawberry. Earlier this year Black Cherry, Raspberry and Vanilla joined the lineup. There’s also Low-fat Plain Muuna in 5.3- and 16-ounce containers and Classic Plain in 16-ounce multi-serving containers only. All Muuna products contain no artificial flavors, colors and sweeteners. Muuna is also gluten-free and certified kosher. The company continues to improve the recipe and package. Earlier this month, Muuna began adding the probiotic Bifidobacterium lactis to its formulation to further set itself apart in what is starting to be a very busy cottage cheese case. 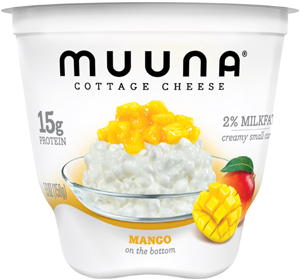 Congratulations to Muuna for receiving the Best in Class in Cottage Cheese. To see the other winners and entries in the category, link HERE. There’s no doubt that cottage cheese has made a comeback. Contemporary packaging and creative flavors is turning the original high-protein cultured dairy product into a trending convenience food. Hood is in. The company offers savory, sweet and plain cottage cheese in 5.3-ounce containers. On the savory side there’s Chive and Cucumber & Dill. Sweet offerings include Peaches and Pineapple. Protein content ranges from 13 to 18 grams, depending on variety. Dean’s is in, too. New DairyPure Mix-Ins cottage cheese comes in four varieties. Two are simply fruit—Blueberry or Pineapple—blended with the cottage cheese. The other two are fruit with cottage cheese, along with a dome of a crunchy inclusion. The varieties are: Peaches with Pecans and Strawberries with Almonds. A single-serve 5.3-ounce cup contains 15 to 17 grams of protein. Even retailers recognize the opportunity in cottage cheese, and many are now offering private-label options. 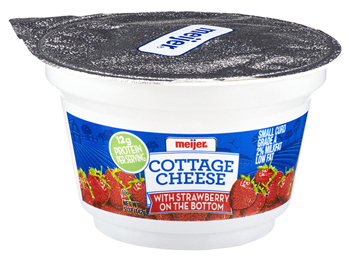 For example, Meijer has 5-ounce containers of 2% milkfat small curd cottage cheese. The plain variety provides 15 grams of protein per container. The fruit flavors—Pineapple and Strawberry—contains 12 grams of protein. 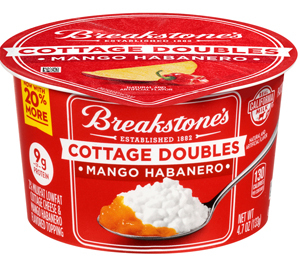 Kraft Heinz, the forerunner in the single-serve cottage cheese category with its Breakstone’s and Knudsen Cottage Doubles lines, continues to evolve the brand. In late 2017, Honey Vanilla and Mango Habanero joined Blueberry, Peach, Pineapple and Raspberry in this dual-compartment format with cottage cheese on one side and topping on the other. With the new flavors came a pack size increase, from the former 3.9 ounces to now “20% more,” or 4.7 ounces. 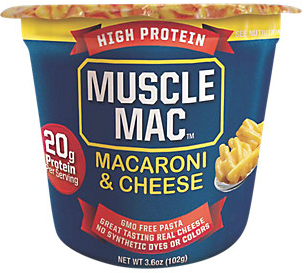 A single serving now delivers 9 grams of protein. Calories range from 110 to 130. 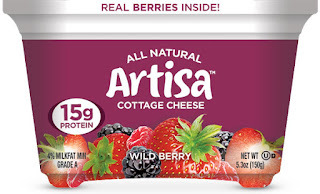 SmithFoods Inc., introduced Americans to artisan cottage cheese with the debut of Artisa in 2015. The product features a slow-cooked, delicate-curd cottage cheese made with fresh milk from locally owned and operated dairies. The brand has evolved over the years in response to consumer feedback. 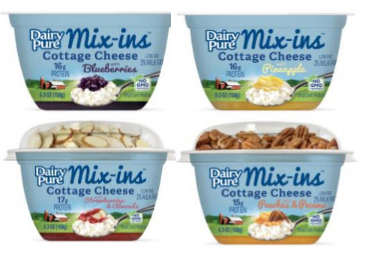 The goal has always been to make cottage cheese relevant again, and the brand is succeeding. Artisa currently comes in 5.3-ounce containers in six whole milk varieties. They are: Apple Cinnamon, Classic, Peach, Pineapple, Strawberry and Wild Berry. A single-serve cup of Artisa contains 15 to 19 grams of protein and 7 to 15 grams of sugar, depending on variety. The product is all natural, with no preservatives or additives, free of artificial growth hormones and high fructose corn syrup, and is gluten-free. 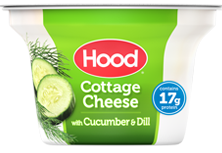 Good Culture Cottage Cheese also continues to evolve and recently went through a packaging rebrand and added new varieties. 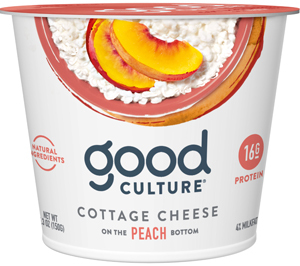 Made with grass-fed milk from cows that graze freely on small sustainable family farms in Wisconsin, Good Culture Cottage Cheese contains 16 to 19 grams of naturally occurring protein per 5.3-ounce cup. New Organic Mango and Natural Peach join an array of other organic or natural-positioned flavored varieties such as Blueberry Acai Chia, Kalamata Olive, Peach, Pineapple and Strawberry. There’s also whole milk and low-fat classic. The “good” in the brand name doesn’t just refer to the cottage cheese. The company has partnered with 1% for the Planet. Each time a consumer purchases a cup of good culture, 1% of the sale goes to a global network of nonprofit organizations dedicated to protecting the environment. On top of mind for cottage cheese formulators is texture and mouthfeel, as the curdiness of cottage cheese is a turnoff for some consumers. One way to overcome this is to ensure the curd is soft and the dressing is super creamy and smooth. Another approach is to blend the curd. 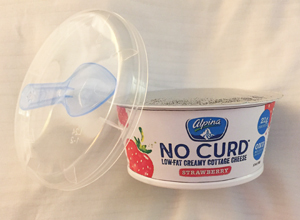 That’s what you get with Alpina’s new No Curd Cottage Cheese. This high-protein dairy snack is made with blended 2% milkfat cottage cheese, which yields a spoonable cultured dairy product with a unique texture, one without distinguishable curds. Made with all-natural ingredients and probiotic cultures, the 5.3-ounce single-serve cup includes a spoon in the lid. The plain variety contains 25 grams of protein. It’s also available in a 16-ounce multi-serve container. There’s four blended fruit options, all delivering 21 grams of protein, 130 calories and only 4 grams of added sugars. The fruit varieties are: Blueberry, Peach, Pineapple and Strawberry. New RifRaf Ricotta Cups are a first-of-its-kind cheese snack that fits somewhere between cottage cheese and yogurt. The product combines spoonable, lightly cultured whole milk ricotta with a sidecar of adventurously flavored jams and honeys. RifRaf Ricotta Cups is launching in five flavors. They are: Meyer Lemon, Serrano Pepper Honey, Strawberry Balsamic, Sun-Dried Tomato and Wildflower Honey. The ricotta is made from milk from grass-fed cows, with each 4.6-ounce dual compartment cup providing 10 grams of protein. Keep up the great work making cottage cheese relevant to today’s consumers. Keep contemporizing the curd! To commemorate National Grilled Cheese Day, Sarasota, Fla.-based deli meat and cheese specialist Boar’s Head commissioned an online survey (n=1,001 U.S. adults) to find out how much Americans really love cheese. Findings showed that nearly nine out of 10 (87%) Americans would give up coffee, chocolate or alcohol before giving up cheese. Americans don’t just love cheese, they know it as well, with 60% of respondents able to name more than five cheese varieties. If possible, nine out of 10 respondents would eat multiple servings of cheese every day. When asked about favorite foods, almost half of respondents (46%) rank cheese as their first or second favorite, among a selection of food group options, with those aged 25-34 being most likely to rank cheese first (27%). 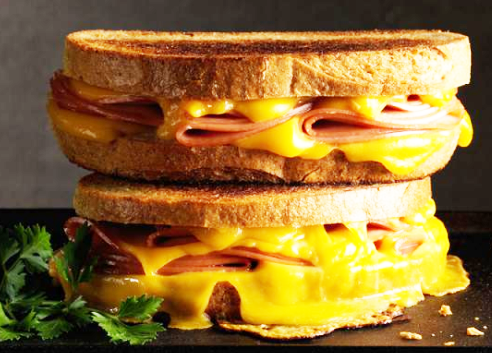 American cheese is the top choice for sandwiches (68%), with cheddar topping the list for salads at (59%). When it comes to grilled cheese, half of respondents prefer a blend of two or more cheeses be in their sandwich. And, when asked if cheese were banned where they live, two-thirds of respondents (66%) stated they would definitely move, strongly consider it or possibly move. Traditional cheeses reign; however, consumers are very welcoming of new cheese forms and flavors. One of the hottest new cheese formats is baked or dehydrated 100% cheese snacks. 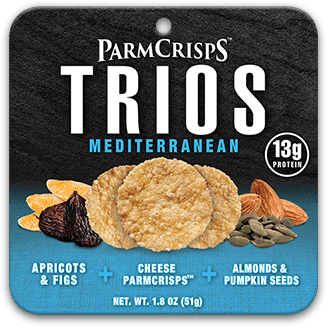 These shelf-stable snacks appeal to low-carb and keto dieters who must forego traditional salty, crunchy, starchy carbohydrate-based chips, crackers and curls. 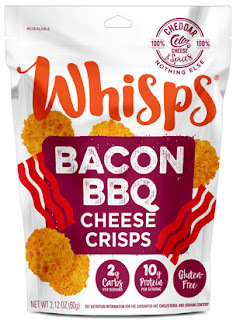 One such new concept comes from That’s How We Roll LLC, a leader in the baked cheese snack category with ParmCrisps, a line of artisan-crafted, crunchy crisps made from 100% aged Parmesan cheese, with or without herbs and seasonings. The company is now rolling out ParmCrisps Trios, a shelf-stable, protein-rich blend of sweet dried fruit, crunchy nuts and seeds, and crispy ParmCrisps. All three varieties contain almond and pumpkin seeds. It’s the fruit that varies. Original includes apricots and craisins. Mediterranean contains apricots and figs, while Tropical includes mangoes and pineapple pieces. Each pack provides 240 to 260 calories, 14 grams of fat and 13 grams of protein. Each 1.8 ounce pack has a suggested retail price of $3.99. 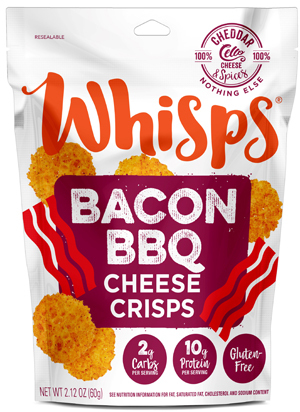 Schuman Cheese is growing its successful Whisps Cheese Crisps snack line with Bacon BBQ and Tomato Basil varieties. These join Asiago & Pepper Jack, Cheddar and Parmesan. Made with pure cheese, one serving of the gluten-free snack provides 10 or more grams of protein. 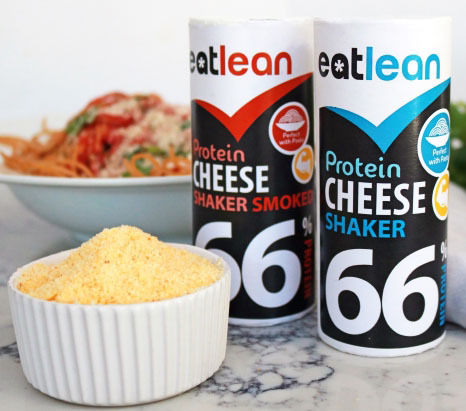 In the U.K., Laurels Farm continues to grow its eatlean Protein Cheese brand. The eatlean cheese is made just like any other regular cheddar using natural ingredients by real cheesemakers on a real dairy farm, according to the company. It is, however, lactose-free, with a 100-gram serving containing 169 calories, 3 grams of fat and 37 grams of protein. Regular cheddar only contains about 25 grams of protein. Based on this composition, the cheese is likely made using ultra-filtered milk. The eatlean Protein Cheese comes in many formats, including snack bars, and most recently, Protein Cheese Shaker. It’s dried and grated eatlean cheese and marketed as a way to add flavor and protein to prepared foods. In this format, it is 66% protein. The shaker product comes in original and smoked varieties. 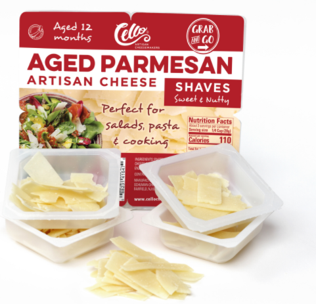 Another premium-positioned product is Cello Grab & Go, also from Schuman Cheese. The company is making its most revered Cello cheese flavors in individual snack-size portion packs sold in packages of four. Varieties are shaved Aged Parmesan, sliced Dutch Gouda, cubed Creamy Fontina, and sliced and cubed Sharp Cheddar. (Read more about this product Monday as a Daily Dose of Dairy). Another one of my favorite out-of-the-chunk cheese innovations comes from Lotito Foods. It’s Cheese Folios, a product that debuted less than two years ago and is now being relaunched with a new look and new serving ideas. The Cheese Folios product line is par-baked sheets of cheese that are made from Cheddar, Jarlsberg or Parmesan all-natural cheeses. This innovative breakthrough offers chefs creative ways to use cheese to be molded as a topper, shell, wrap and in numerous recipes. The patent-pending lightly baked (1.5 ounce) sheets come five to a pack and are separated by parchment paper. Lactose- and gluten-free Cheese Folios provide 13 grams of protein per serving and a mere 1 gram of carbs. With all of these new cheese innovations, high-quality, consistent and economically produced cheese is paramount to success. Congratulations are in order to all of the winners of the World Championship Cheese Contest, which took place in early March in Madison, Wis. Read more about the winners HERE. You can taste and purchase many of the winning and runner-up cheeses at the International Cheese Tech Expo on Wednesday evening, which is hosted by Chr. Hansen Inc.
Hope to see you in Milwaukee next week. This is the third and final blog on innovation trends that are disrupting retailers’ ice cream freezers. If you want to hear me speak on this topic, there’s still time to book a flight and head to Fort Myers, Florida, next week for the International Dairy Foods Association’s annual Ice Cream Technology Conference April 10 to 11, 2018. For more information, link HERE. 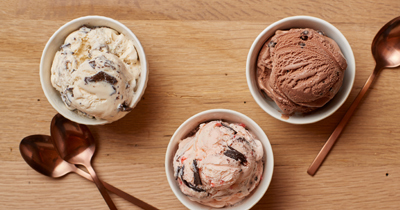 If you missed the first two blogs, link HERE to learn how the pint package helps ice cream manufacturers overcome formulation challenges associated with adding lots of inclusions, especially variegates and fruit sauces that impact freezing temperature and product integrity over shelf life. The latest rage in pints, however, is protein-enriched ice cream innovations. Learn more about that category disruption HERE. Today let’s discuss the flavors we are seeing this ice cream season. Clean, simple, pure vanilla flavor bases, often with a swirl or side of something delicious, dominated ice cream freezers in 2017. However, after Cyclone Enawo hit Madagascar in March 2017, reportedly destroying almost a third of the country’s vanilla crop, dairy foods manufacturers recognized that their 2018 innovations would need to take a different characterizing flavor pathway. Not surprisingly, that turned out to be chocolate. With three months into the New Year, we’re seeing lots and lots of chocolate ice cream. Innovators are using dark, milk and white chocolate, often in combination with other brown flavors, such as coffee, honey, maple and caramel, though the salty spin on the latter is not as prevalent as it was a few summers ago. And with coffee, it’s all about cold brew. Many of these dark flavors have a comforting twist, with the descriptors “crafted” and “home-style” attached to them. There’s also been considerable flashbacks to nostalgic flavors from more settling times. Think of marshmallows toasting on an open camp fire or mixed into a whipped cream or gelatin dessert. With that comes decadence for when indulging is simply necessary, as well as moonshine to take off the edge. Think bourbon-glazed nuts and whiskey-flavored variegate. To read a comprehensive article on flavor trends in dairy, link HERE to a recent article I wrote for Food Business News. Hudsonville Ice Cream, Holland, Michigan, is all about the good old days. The company is bringing back its Creamery Blend Vanilla ice cream flavor, which is made using the original 1940s recipe that has not been available in more than a decade. The return of Creamery Blend Vanilla celebrates the introduction of a new container design. Most noticeably, each container has a uniquely colored lid that corresponds to each flavor of ice cream and a fresh, creamy scoop on the front of every container. The updated container features new quality and safety measures, such as a new foil seal that serves as an extra layer of protection. 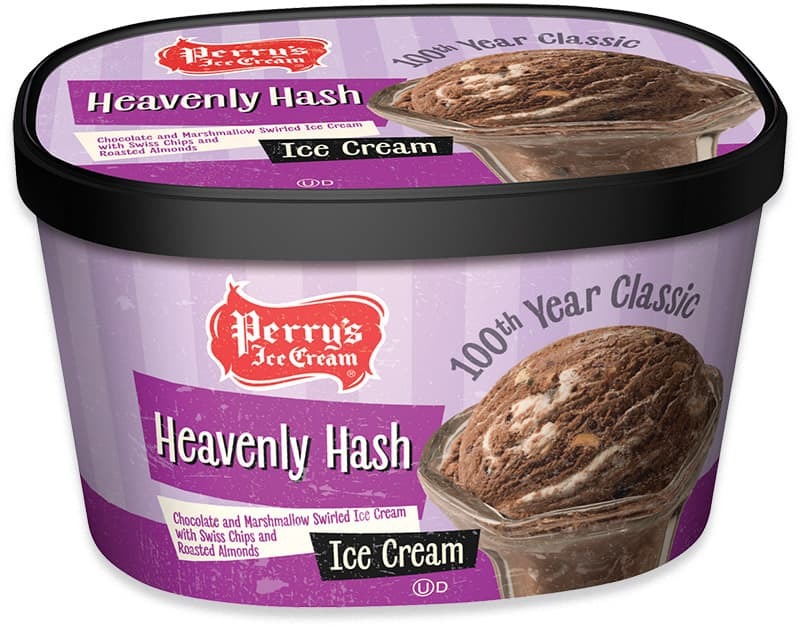 In the coming months, Perry’s will also offer special promotions, and the release of a special-edition “The Good Stuff” flavor in scoop shops, which consists of yellow cake ice cream with strawberry swirls and panda paw cups filled with strawberry cream. Utica, Ohio-based Velvet Ice Cream is adding new flavors to its premium line, including the 2016 Ohio State Fair limited-offering Banana Cream Pie. This flavor was inspired by nostalgia-infused state fair pie-baking contests and is made from creamy banana ice cream with swirls of meringue and pieces of flaky pie crust. 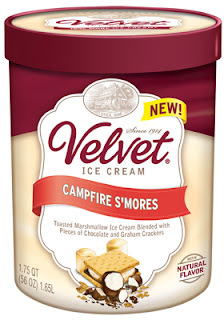 Another new comforting classic is Campfire S’mores, which blends toasted marshmallow ice cream with rich chunks of chocolate and graham crackers to take ice cream lovers back to summertime campfires. Chocolate Shake It—chocolate malt milkshake ice cream with chocolate cookie-covered fudge truffles and marshmallow swirls. Caramel Chocolate Cheesecake—caramel chocolate ice cream with graham cracker-covered cheesecake truffles and chocolate cookie swirls. Chillin’ the Roast—cold brew coffee ice cream with chocolate cookie-covered coffee liqueur truffles and fudge swirls. Turkey Hill Dairy, Conestoga, Pa., is rolling out Decadent Delights. This new line of indulgent, sophisticated treats blends premium ice cream with an abundance of fruit to create a four-flavor selection of bars and three flavors of individual-serving parfaits. Decadent Delights is Turkey Hill’s first new novelty in more than 10 years and marks its first entry in the growing premium novelty category. Decadent Delights bars include Chocolate Covered Strawberry, Coconut, Tropical Mango and Cherry. Each flavor is tailored for audiences looking for an indulgent dessert packed with fruit, chocolate and other premium ingredients. 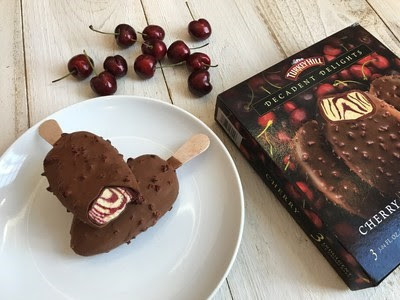 The Cherry bar, for example, features white chocolate ice cream, swirled with chocolate hazelnut and cherry ribbons and is covered in a triple layer of nougat, cherry and milk chocolate rolled in cherry pieces. The parfait selection is no exception, featuring ice cream swirled with ribbons of fruit puree topped with whipped topping and chocolate chips. Parfait flavors include Mixed Berry, Strawberry and Lemon Blueberry. Gelato Fiasco has seven new flavors of its Maine-made gelato. They are full of chunks and swirls, and represent a shift in Gelato Fiasco’s recipe strategies. With new state-of-the-art equipment, Gelato Fiasco is now able to achieve a high-chunk-ratio on its new recipes, many of which complement this season’s flavor trends. 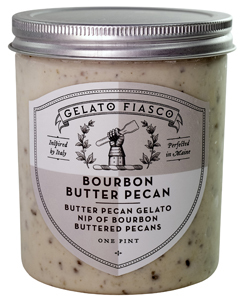 For example, Bourbon Butter Pecan Gelato speaks to grampy, who loved his bourbon and his butter pecan ice cream. This one is worthy of his porch, according to the company. It’s bourbon-spiked butter pecan gelato with a generous sprinkling of whiskey-soaked buttered pecans. Deep Maine Woods Gelato takes the mystery and wonder of exploring Maine’s backwoods and puts all the edible treasures one would discover into a pint. This one combines chocolate, smoky caramel and honeycomb candy. Hope to see you in Fort Myers. I look forward to an afternoon of ice cream tasting. P.S. My high school senior son—finally—made his college decision. He is going to be an Illini like his mom.